We’ve spent several weeks talking about the history of the Overwatch organization — everything that’s gone before, from the Omnic Crisis to the infighting that led to the downfall of Overwatch itself to the global fallout from the Omnic Crisis that continues to affect the world. Winston had a plan and a vision for the world when he issued the recall order for Overwatch, to once again protect the world and help build some kind of brighter tomorrow. Sure, that involved bringing back some of those heroes from years ago. But there’s a new generation of heroes out there — heroes like Lúcio, who fought to protect his home and now spreads a message of unity and positive social change. He wasn’t a member of Overwatch originally, and he’s not the only one. Let’s talk about the three heroes we’ve yet to cover: D.Va, Pharah, and Mei. Mei was, in fact, a member of the newer generation of Overwatch, brought in well after the Omnic Crisis was over and done with. The world wasn’t just recovering from shattered cities and desolate landscapes, the very planet was undergoing a dramatic, unexplained climate shift — and there was no explanation for the escalating phenomena. Of course, people wanted to blame it on the continual advancements of technology, or even the growing omnic population — but that didn’t seem to be the case. To address this, Overwatch established a series of eco-Watchpoints at remote locations worldwide, to monitor and observe these climatic shifts and try and figure out a solution to it all. Mei-Ling Zhou was one of several people brought on board for the initiative. A climatologist, Mei had already developed and introduced several innovations in the field of climate manipulation, protecting at-risk areas in Asia and beyond. 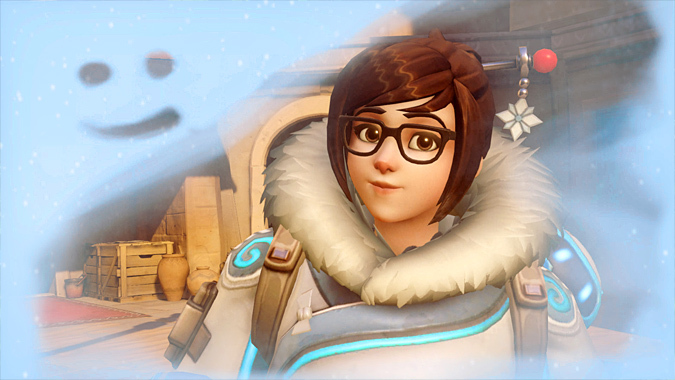 Mei was assigned to Watchpoint: Antarctica, but when a sudden, catastrophic polar storm cut the Watchpoint off from the rest of the world, the scientists were stranded. With no other feasible choice available, they put themselves in cryostasis to try and survive long enough for rescue. That rescue never came — when Mei woke up, she was the only survivor. And she woke up in a world that had changed significantly. Overwatch was simply gone, none of the eco-Watchpoints were still running, and those crazy climate changes the world was experiencing? They’d simply gotten worse. Left with little else to do, Mei decided to continue her work on her own, traveling the world with a portable version of her climate-manipulation technology and hoping to re-establish the eco-network — and find a solution to Earth’s worsening climate issues. In South Korea, things weren’t much better. Every few years a colossal omnic would emerge from the East China Sea, assaulting South Korea and its neighbors. 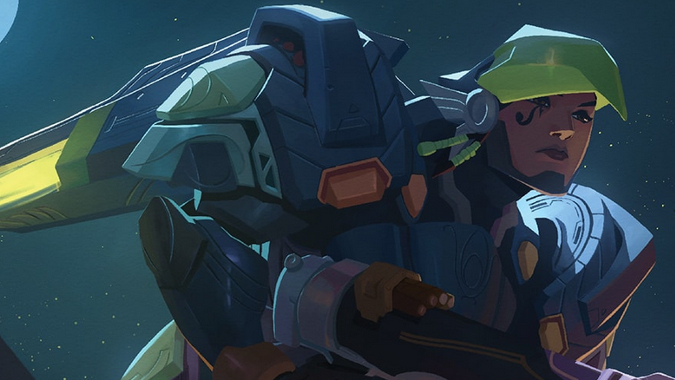 The government developed an armored drone unit called MEKA to combat the omnic threat, and while it was successful in pushing back the attack, it never defeated the omnic. Instead, it retreated into the sea to reconfigure itself, calculating MEKA’s attacks and coming up with counters before once again emerging a few years later. Eventually, it managed to completely disrupt MEKA’s drone-control networks — and that forced South Korea to begin placing pilots in the mechs. In a desperate scramble to find suitable pilots, the government came up with an unlikely solution — professional gamers. They had both the fast reflexes and the skills necessary to operate the advanced weapon systems. Enter Hana “D.Va” Song, a pro-gamer, professional StarCraft player, ranked #1 in the world and undefeated for three years. She was a fierce competitor who played to win at any cost. She was recruited as a mech pilot, and treated the experience as just another game of sorts, absolutely fearless in battle and possessing exactly the skills MEKA needed. Already popular through the StarCraft circuit, her popularity only grew over time — she began streaming combat operations to her fans and rose to a global icon, springing into battle at a moment’s notice to defend her country. 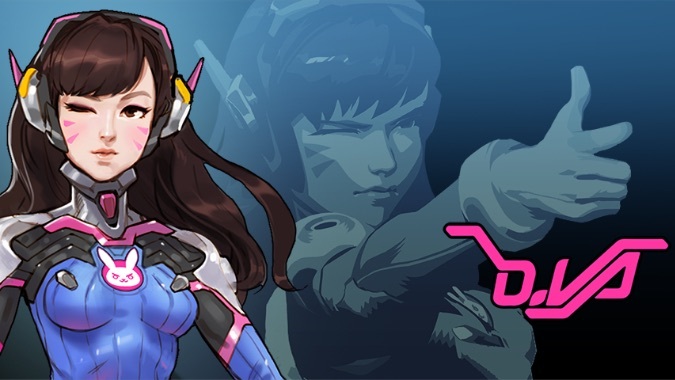 D.Va was never a member of Overwatch — she’s far too young. But she’s one of a new generation of upcoming heroes who seem to fight with the same hope for peace that Winston is looking for. We don’t know what the future of Overwatch is, now that Winston’s recalled the team. But if he’s looking for new heroes to add to the roster, D.Va is certainly a good start. On the other end of the spectrum is a woman who was very, very familiar with Overwatch — her mother, Ana Amari, was one of the original members of the team. Overwatch was viewed almost as a familial legacy by Fareeha Amari, who dreamed of following her mother’s footsteps and joining the organization someday. Once she was old enough to do so, she enlisted in the Egyptian Army, quickly working her way through the officer ranks. Fareeha not only had a keen mind for tactics, but possessed the skills necessary to be an effective leader. Unfortunately, Fareeha would never join the ranks of Overwatch. Although she certainly had the skill and determination necessary for that kind of assignment, the organization was disbanded before she could grab that opportunity. So she searched for another, and found it — after leaving the army with a commendation for distinguished service, she began working for Helix Security International, a private security firm. Her squad in particular was contracted to defend an artificial intelligence research facility beneath the Giza Plateau — a facility vital not just to the safety of the region, but countries across the world. Taking the call sign “Pharah,” Fareeha was trained to use the Raptora Mark VI, an experimental combat suit designed for firepower and speed. With Helix Security International, Pharah was able to at least follow a path towards making the world a better place…even if her dreams of joining Overwatch ended before they could be fully realized. Make no mistake, though — if given the opportunity to join a reformed Overwatch team, Pharah would jump at the chance. 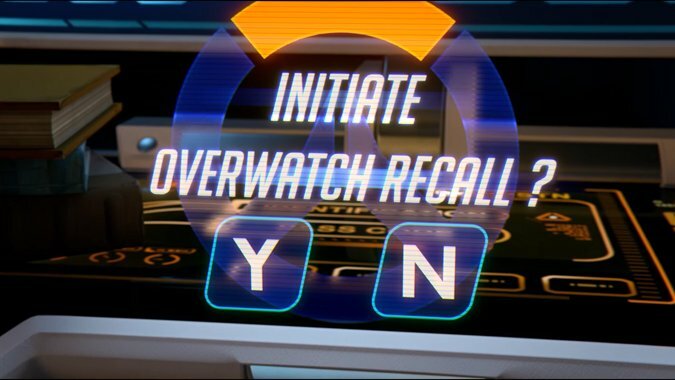 When Winston issued that recall order for Overwatch, it sent a signal to every last known contact agent for Overwatch. People like D.Va and Pharah weren’t on that list, because they weren’t actually members of the team at any point. Surprisingly, Mei wasn’t on the scrolling list of names and photos in the Recall short. But she was definitely one of the people contacted in Recall — her journal notes that Winston was the one who suggested she keep a diary of her adventures. 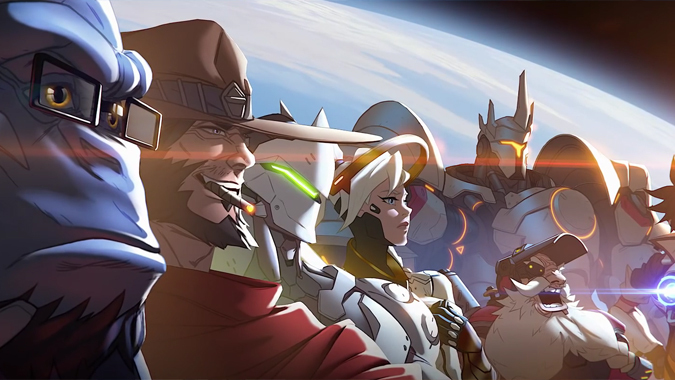 Regardless, the presence of heroes like D.Va, Pharah, Lúcio, Zarya, and Bastion points to the fact that Winston’s thrown-together team of former Overwatch members isn’t the endgame here. As it stands right now, none of these people are “officially” on the team in all the written lore, because so far the lore only covers everything that’s happened before. It doesn’t explore Overwatch’s future — who joins, who declines the offer, and ultimately, who Overwatch is fighting against. We have Talon as an obvious enemy — but there are also more nebulous villains out there. Organizations like the Vishkar Corporation, who seem to be focused more on greed, less on helping the world out of purely altruistic purposes. We’ve got whatever mysterious force is behind the second omnic uprising in Russia, and the repeated omnic attacks in South Korea. And there’s plenty more to be found in Overwatch‘s maps and assorted lore. The stage has been set with scenery and stories about Overwatch — how it was founded, where it went, why it should return. But we’re waiting now — somewhat impatiently — to see where it has yet to go, and who’s coming along for the ride. Hopefully, we’ll see some answers now that Overwatch has been released and everyone can play.